The Village People won’t be the only ones with their hands in the air when guests see this vibrant drink ticket! 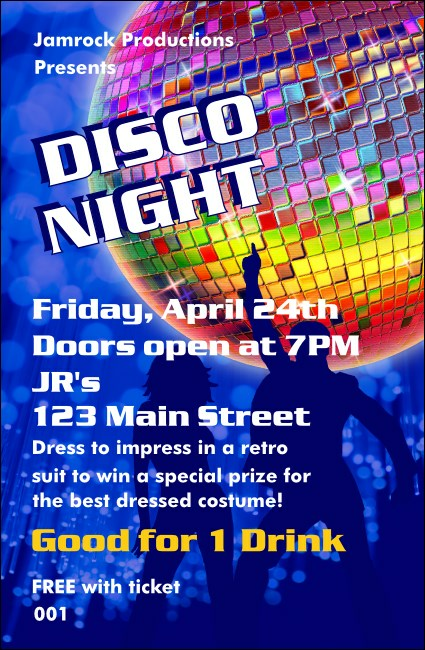 Kick up the heat and dance your way to the next level in ticket sales with a Disco Drink Ticket featuring flashing lights and the silhouette of a dancer moving to the beat. Fill in the easy template below and we'll hustle to get it printed for you!